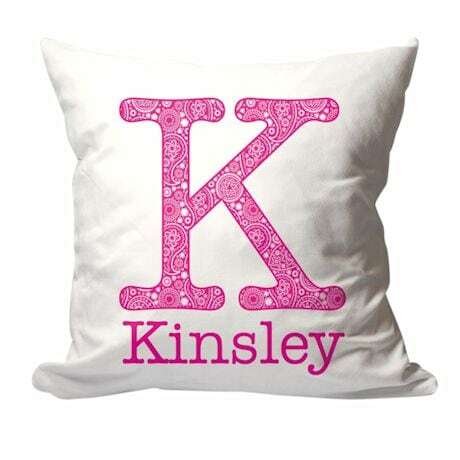 Make no mistake - this is YOUR pillow, with your initial and first name featured on the front. Show your little one how to recognize and spell his/her name, or use your last name to let the whole family in on the fun! Generously sized at 18" x 18". Great gift for a birthday or special surprise. Specify name, up to 20 characters. Choose ink color: Blue, Coral, Hot Pink, Navy, Purple, or Turquoise. Machine washable, suede-like 100% polyester. Includes insert. Allow 3 weeks. No rush delivery or gift box. Item can only be shipped within the Continental US.